The process of purchasing your first home can be daunting and expensive, and it will likely include many financial situations you’ve never encountered. Luckily, the federal government and Florida state government have stepped in and created programs specifically for first-time home buyers. Even if you don’t have much to put toward a down payment, or you need a low interest rate, these loans and mortgage programs are great options that are worth looking into. If you want some help ensuring that you’ve made the right mortgage choice, the SmartAsset matching tool can pair you with as many as three financial advisors in your area. Before we dive into the programs for Florida residents, we’ll provide an overview of national home buyer programs that homebuyers in every state can access. It’s wise to consider both federal and state options when searching for the right mortgage. The Federal Housing Administration of the U.S. federal government backs FHA loans, though you’ll actually apply for one through an outside lender. These mortgages are a fantastic option for anyone looking to purchase a first home. That’s because you’ll only need to put 3.5% of your new home’s value at the time of purchase. Compare this to a conventional loan that requires a 20% down payment. However, to receive this perk in its full glory you must have a FICO® credit score of 580 or higher. If not, you’ll be required to make a 10% down payment, which still represents a partial upgrade over a conventional mortgage. But even with this credit score requirement, an FHA loans falls under the category of easier-to-get mortgages. The Department of Veterans Affairs insures VA loans, but third-party mortgage lenders actually issue them. These were created to help veterans who may have had enough monthly income to afford a mortgage but not enough savings to back up a down payment. In turn, VA loans do not call for any sort of down payment, meaning your new home’s value can be completely covered by your mortgage. This is essentially impossible to replicate outside of a VA loan, making it all the more valuable of a proposition. In most situations, you need a 620 FICO®credit score to secure an approval for a VA loan. On top of this, you need to pay a VA funding fee, which will range anywhere from 1.25% to 2.4% of your home’s value depending on whether or not you choose to pay a down payment. Aside from the funding fee, there’s almost no other extraneous costs to deal with on a VA loan. As a matter of fact, you won’t have to pay the typically obligatory private mortgage insurance because the government will back that half of your risk. You’ll also likely find that your closing costs will be cheaper than conventional and other mortgages, which should help you shore up your finances in the short term. A United States Department of Agriculture, or USDA, loan is legally known as a “Section 502 Single Family Housing Guaranteed Loan Program.” These mortgages are specifically intended to attract borrowers to move to rural (or at the very least, semi-rural) areas of the country. Simply find a single-family home that’s approved by the USDA to be eligible for a loan, and you’ll be free to apply. Perhaps the most attractive feature of this mortgage is the fact that it completely eliminates the need for a down payment. But if your credit score falls a bit lower on the FICO® spectrum, you may have to pay a down payment of around 10%. To make things even better, a USDA loan doesn’t require applicants to have a strong credit score and history. However, because of this, you will not be eligible for a USDA loan if your income level is higher than 115% of the current U.S. median income or if you have qualified for a conventional loan. The Good Neighbor Next Door Program is one of the more distinctive federal mortgage offerings on the market. It’s in place solely for emergency personnel and pre-K through 12th-grade teachers. Although not technically a loan, it allows these individuals to receive a 50% discount of the purchase price of a new home. To actually pay for the home, you could get a conventional, VA or FHA mortgage or pay cash. There are some preconditions you must follow in order to remain eligible for this program, though. In order to save half off your home, it must be located within a “revitalization area” as titled by the Department of Housing and Urban Development (HUD). Furthermore, you must agree to make it your primary living residence for at least the next three years. The good news is that if you meet this term, you can sell the home if you choose and hold onto any equity and profit. Freddie Mac and Fannie Mae are mortgage lenders that were created by the federal government, and each have a number of first-time home buyer options. While they’re technically two different entities, they offer very similar benefits, each of which are more than suitable for anyone buying his or her first home. The HomeReady® loan from Fannie Mae need only be accompanied by a 3% down payment. This makes it a great choice for anyone who’s strapped for cash, has a FICO® credit score as low as 620 and makes an income at or near the U.S. median. With a HomeReady® loan, you must have private mortgage insurance at the time of purchase, but once you’ve accrued 20% equity in your new home, you can cancel it. On the other hand, Freddie Mac offers Home Possible® mortgages with down payments as low as 3%. The Home Possible loan comes in 15- to 30-year fixed-rate and 5/5, 5/1, 7/1 and 10/1 adjustable-rate terms, along with the aforementioned cancellable private mortgage insurance. You also will not need any credit history for this loan. Native American veterans and their spouses can apply for a Native American Direct Loan (NADL) for their new home. This VA-backed mortgage comes with many perks, but it most notably has a 0% down payment and set interest rate. Eliminating the need for a down payment opens up homeownership to many more buyers. This rate currently sits at 4.5%, though that is subject to change based on movement within the market and Prime Rate. As far as credit conditions go, NADLs call for very little, so don’t get discouraged if you have a weak credit history. You also will not have to purchase private mortgage insurance, which is a perk that extends from normal VA loans. In an effort to cut down on the extra expense that closing costs can create, the VA has significantly lowered these fees associated with NADLs. In addition to the programs available through the federal government, there are a few programs for first-time homebuyers offered through the state of Florida. The Florida Housing Finance Corporation – HFA Preferred Conventional Loan is a 30-year fixed-rate mortgage that is great for anyone in need of cheaper private mortgage insurance for their new home. In theory, this will leave you more financial room to take care of other fees, such as closing costs. Although there is no direct down payment aid, you may qualify for the Florida Assist Loan. However, to get the Preferred Conventional Loan, it must be utilized as a first mortgage on a home. Florida HFA’s Preferred 3% PLUS Conventional Loan is slightly different than its counterpart. This mortgage option comes with both reduced mortgage insurance premiums, as well as direct down payment assistance. This will come in the form of an HFA Preferred Grant, which you will not have to pay back. It is a 30-year fixed-rate loan. Similar to the above loan, the HFA Preferred 3% PLUS Conventional Loan has to be your home’s first mortgage. While not a loan, the HFA Preferred Grant offer an opportunity for Florida residents to get essentially free financial assistance. Grants do not have to be repaid, and it can be as large as 3% of your home’s value. You can put this grant toward either your down payment or closing costs. Although this comes with the Preferred 3% PLUS Conventional Loan, other applicants will find it a bit more difficult to qualify for than most other mortgages. For further down payment aid, Florida offers the Assist Loan. This can total as much as $7,500, but is required to be repaid, unlike the grant above. There is no interest on this mortgage, however. You are not required to begin making payments until either you refinance, you pay off your first mortgage or the home loses priority as your primary residence. Though many mortgage applicants will likely be ecstatic with any form of assistance, this loan will make your repayment process longer than it would be with just your first loan. Also, unless you have a first mortgage, you’ll remain ineligible for the Assist Loan. The Florida Military Heroes program allows those currently in the military and veterans special mortgage deals. First and foremost, they’re paired with significantly lower interest rates than typical home loans. On top of this, though, you’ll also qualify for the Assist Loan, which will provide down payment assistance in the form of an up to $7,500 second mortgage. Because of the military-centric nature of these loans, they don’t apply to the vast majority of the Florida population. A Military Heroes loan can also only be for a first mortgage. 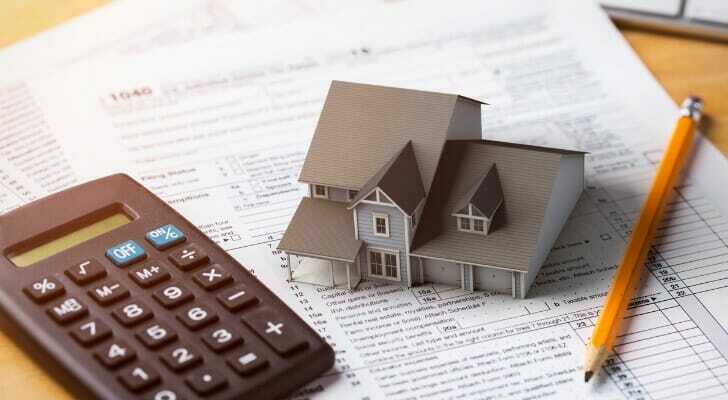 A Florida Housing Mortgage Credit Certificate is not a direct mortgage program, but it will help first time home buyers and certain veterans save on their annual federal income taxes based on how much they pay in mortgage interest. This is limited to up to $2,000 a year, as you can claim anywhere from 10% to 50% of your interest payments for the year. Qualifying for one of the above first-time home buyer programs is just the beginning of the mortgage process. When it comes to finding a mortgage, it’s always best to do as much research and shopping around as possible. Be sure to check all lenders, interest rates and down payment stipulations. A home is likely the biggest purchase you’ll make, as well as a big investment. That’s why it may be smart to consult a financial professional about how buying a home impacts your finances. Use SmartAsset’s financial advisor matching tool to find financial advisors in your area that can meet your needs.